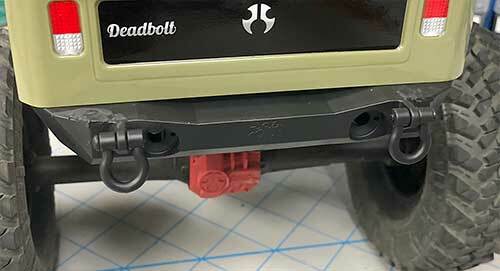 The Axial AX90066 Deadbolt is an extremely popular body style, and we’re constantly pulling spare plastic out of our parts bins to try and create a few simple body mods. The first is something we’ve been asked about for a long time – why doesn’t the Deadbolt come with a rear bumper. 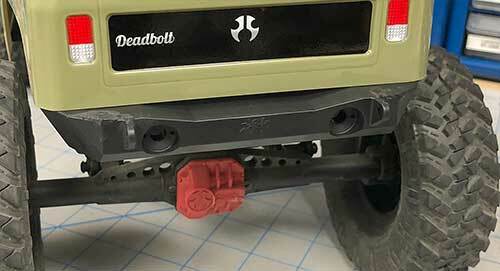 Well, say no more – check out this great little how to on adding a simple rear bumper to the back of your Deadbolt. 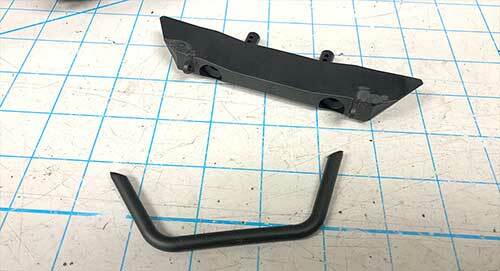 Here are the two parts we’ll be installing; a front bumper and bumper mount. We’ll use the original hardware included with your Deadbolt to re-mount the parts. Using the side cutters, clip the hoop off the bumper. Here’s where you can use the Dremel to clean up the bumper. If you have a thin pair of side cutters, you might be able to clip close to the bumper and not require any Dremel work. 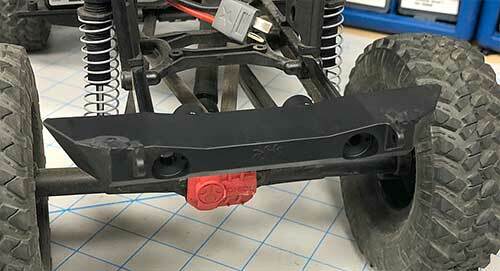 Remove the stock rear bumper and install the AX80125 mount. Use the stock hardware to lock it in place. 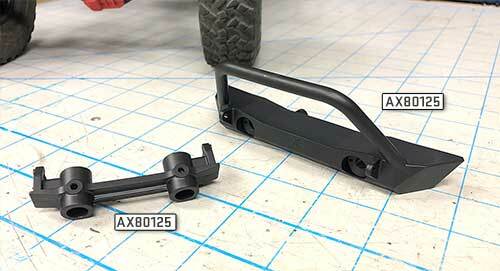 Slide your freshly modified rear bumper into the mount and secure with the stock hardware. Set your body on top and examine your handiwork. Your Deadbolt now has a rear bumper that even includes light buckets! But wait – there’s more! If you have a set of D-rings lying around, you can add those to the rear bumper to help pull your buddies out if they get stuck! This second mod came about after a couple of us found that getting to the rear body clips can be a bit of a pain if you have chunky hands. 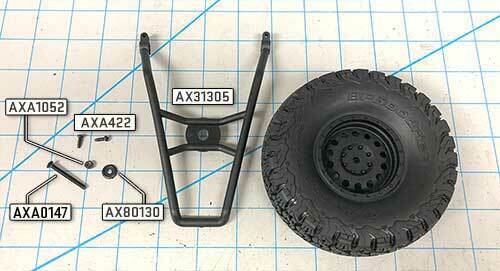 This mod will not only make it super easy to get to them, it also give provisions for adding a scale rear tire. Remove the body – as you can see, it’s a little tough getting to the rear body pins with sausage fingers. Here are the parts you’ll need. 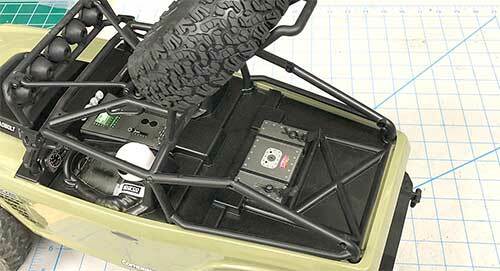 Any spare tire will work with this mod (as long as it’s a 1.9). It’s also suggested that you remove the foam insert as well. You’ll see more about this later. 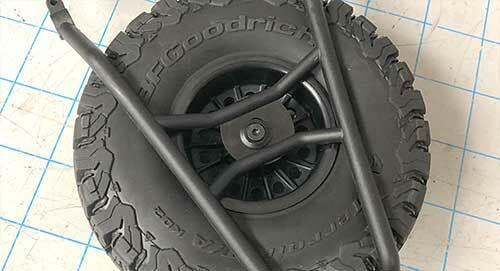 Mount the tire to the cage by inserting your 16mm screw through the washer, then through the tire. 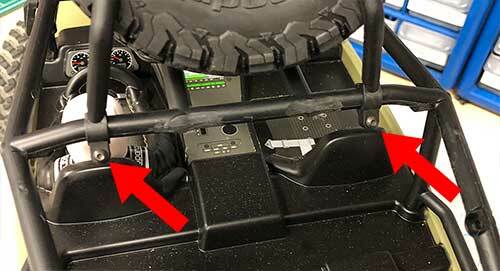 Note the orientation of the mount; this setup mounts the tire low in the bed for the best performance. 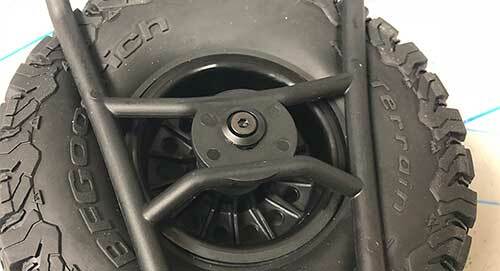 If you want to allow a little more room for, say, some scale items, flip the plastic mount as shown in the picture below (you’ll need at least a 30mm screw to attach the rear tire). Secure the tire in place with a M3 locknut. 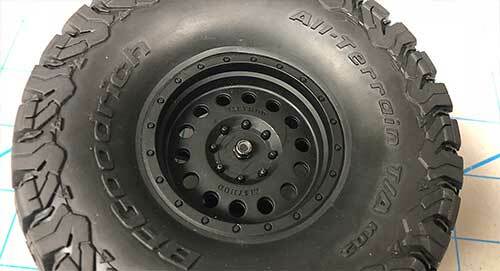 If you’re feeling really sassy, you can use the AX31320 Axial Bomber Rear Tire Hold Down for a super trick look! 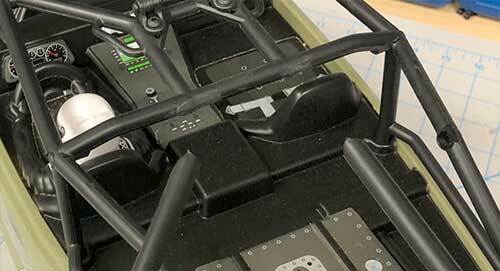 Remove the screws from the stock cage (see the pretty red arrows). Make sure you remove them from BOTH sides of the Deadbolt. 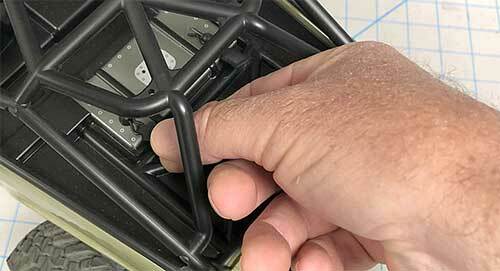 Using the side cutters, chop off the rear part of the cage as shown. You can use a Dremel here to clean up the cut or just leave it be. 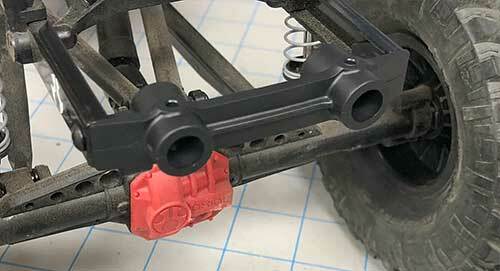 Attach your rear tire mount to the cage, flip it up and secure with the M2.6×6 screws. 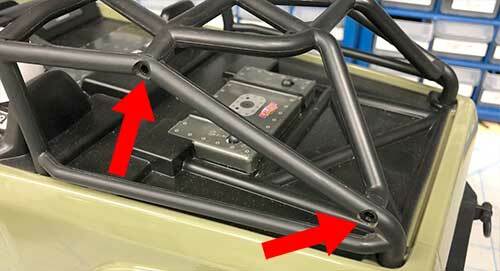 Tightening these down will help keep the rear cage in place, just be sure not to over-tighten them. Lower the cage all the way to the body, and ‘pinch’ the tire in-between the cage. 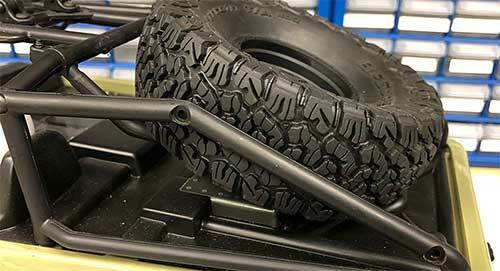 This is where a tire without the foam insert will help hold the flip-cage in place a little better. Now, swing the cage up to install the body pins. Brilliant, right?